Very classical CV format, but it matches pretty much any kind of professions. Smart & simple, that's what we love. 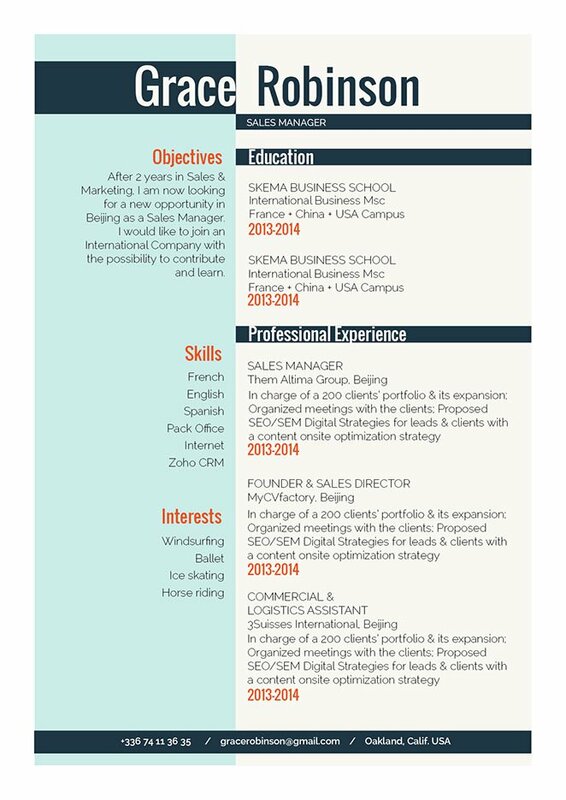 CV template to download "Aerial"
The Aerial Resume does an excellent job in presenting all of your qualifications thanks to its well-structured lay out that features a perfect selection of colors, shapes, and texts that is sure to attract your potential employer. From your professional experience down to your interests—al the content of this CV template is clearly laid out for your recruiter, which makes this a sure fit for any job type and is especially ideal for applicants who have a strong set of qualifications as your strengths are made readily accessible! That dream job is good as yours! 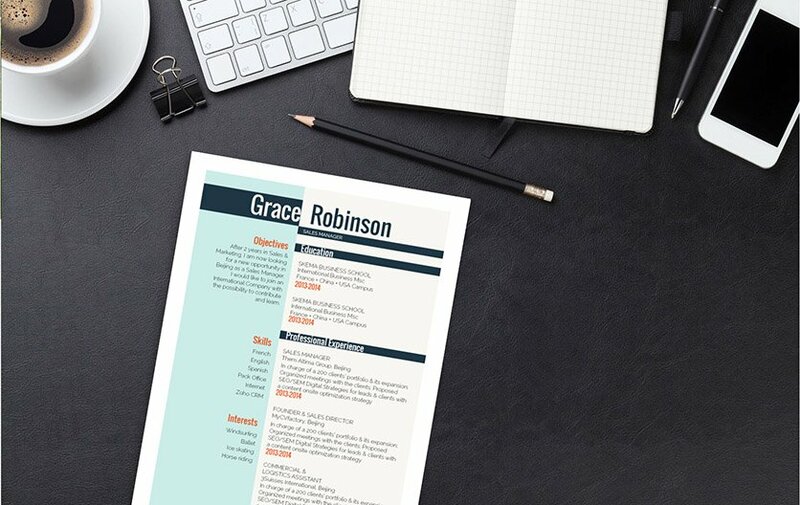 How can you make a more eye-catching resume template? That’s easy—all you need is a comprehensive and effective resume format! But how can you create such a resume? For starters, use a simple, yet professional font such as Helvetica or Calibri, select a font size between 11 and 12, and selectively apply bold/ italic font styles to help guide your reader along your resume with ease. Use graphics and/or symbols to bring attention to the key points of your CV that need to be emphasized. And finally, make good use of wide-margins, headings and subheadings to give our resume a logical format, which makes it much easier to understand.